Stephen has a talent for breaking down complex concepts into understandable action steps for his clients. A former nuclear-trained electrician for the Navy, once he obtained his bachelor’s in finance from the University of Georgia he found his life’s mission in helping others with their finances. His love of building relationships is evident as he works alongside his clients and also takes time to mentor and train other advisors. 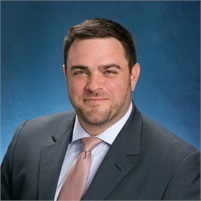 A member of the Million Dollar Round Table (MDRT), Stephen has over eight years of experience in the industry and specializes in insurance planning and developing comprehensive overall financial plans for Strive Financial Solutions today. Stephen is a Registered Representative with Kestra Investment Services, LLC and an Investment Advisor Representative with Kestra Advisory Services, LLC. In Stephen’s spare time, he stays active golfing, weight lifting, and playing tennis. An avid sports fan, Stephen closely follows the Bulldogs, Falcons, and Braves. He enjoys tailgating in Athens with old friends and spending time with his family.